- Suitable for use with most cars. 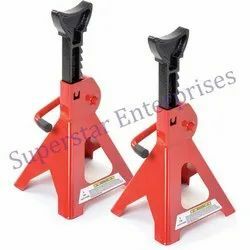 We offer a high quality range of Jack Stands. The CP jack stand range includes 3 models with self locking handle & extra large feet for improved security and stability in use. We are offering Axle Stand to our clients. 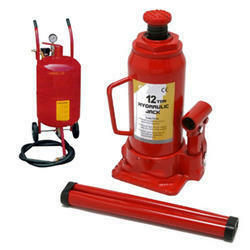 We ae dealing with U Stand For Hydraulic Bottle Jack. Owing to our in-depth knowledge in this domain, we are specialized in providing Jack Stand. Being a leading organization in the industry, we are dynamically engaged in manufacturing a premium range of Heavy Duty Axle Stand. We are mainly looking for Hydraulic Jacks, Impact Wrench and pneumatic tools queries.Ratcheting Axle Stands are suitable for supporting raised vehicles or equipment. Protective red enamel coating. 10-position ratchet design that automatically locks when raised.